At Primo Registrations we have over 50 million cherished number plates for sale at the lowest prices available, giving you plenty of cheap number plates to choose from in order to find the perfect one for you. We have a very simple and secure online order process, which only takes a couple of minutes to go from searching to buying your new personal number plate. Unlike some dealers, our friendly and knowledgeable sales advisors won’t charge you anything extra to process your order over the phone. 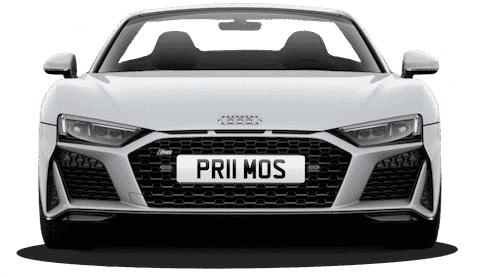 The skilled aftersales administrators at Primo Registrations are able to handle the entire legal DVLA process for you, removing the need for you to handle the legal transfer procedure for your new private number plate yourself. Take a look here to learn the benefits of buying a private plate in more detail. Why Use Primo Registrations to Buy Your Personalised Number Plate? In addition to this, Primo Registrations offers cheap private number plates, starting at just £140 on your vehicle with nothing else to pay, ensuring that you get the best value for your money. These tend to be number plates that are dateless and were issued before 1963. So, why are they called cherished number plates? Whilst all number plates are ‘cherished’ by their owners, these are usually more distinctive because they’re older! If a customer has been searching for a specific registration, they may refer to it as a cherished number plate once they’ve finally gotten hold of it! 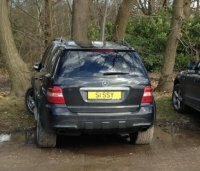 Personalised number plates tend to be associated with number plates that are personal to their owners. Perhaps they flaunt a nickname, job title or even something meaningful to the plate holder. Drivers on the road may not understand the reference, but the owner of the personalised number plate will! A private number plate often refers to a number plate that disguises the vehicle’s age. 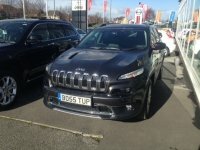 Perhaps if one wanted to buy a vehicle that was slightly older or relatively new, but not brand new, a private number plate would be purchased so it would not be obvious as to how old the vehicle is. 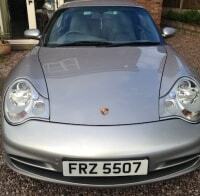 Private number plates can feature attractive combinations, without giving away true age! When you buy car registration plates from Primo Registrations, you're guaranteed the cheapest possible price. We promise to beat any other number plate dealer. So if you’re looking for competitively priced number plates then look no further! There are a wide variety of number plate styles to choose from, giving you a large range and allowing you to purchase personalised number plates that you really want. 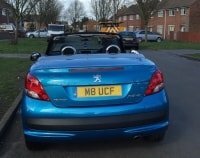 Start the process of finding your perfect number plate today by using the search bar above or giving us a call on 01252 49 1111.